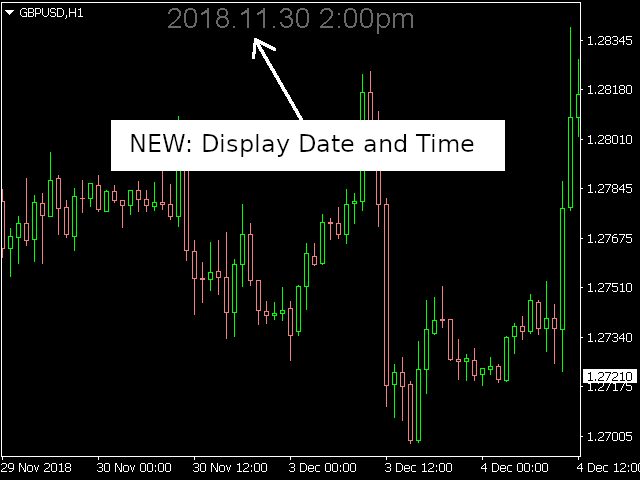 Timezone Converter automatically converts the time on a chart to your local time and displays it for you. 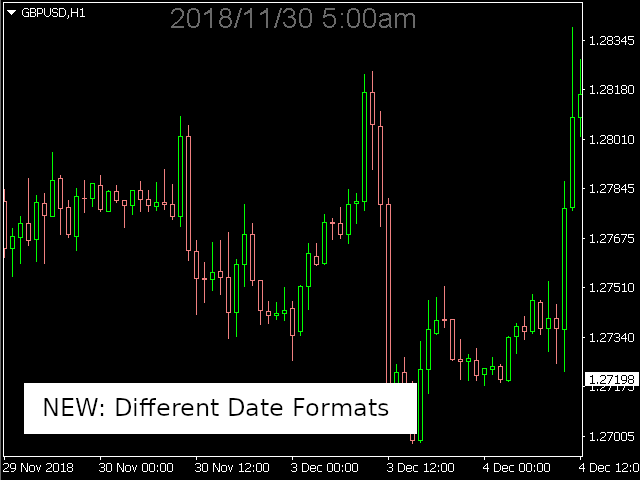 You'll never have to do the math to figure out what the time on a chart converts to in your local timezone! 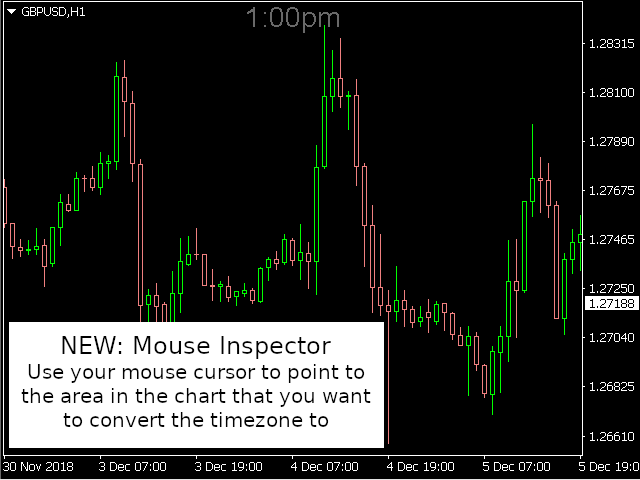 Now, depending on the Inspector Tool you chose, you can either drag the Vertical Line or move your Mouse to the area on the chart that you want to convert the time and it will be displayed for you. You can hover over the time label to display the converted date. 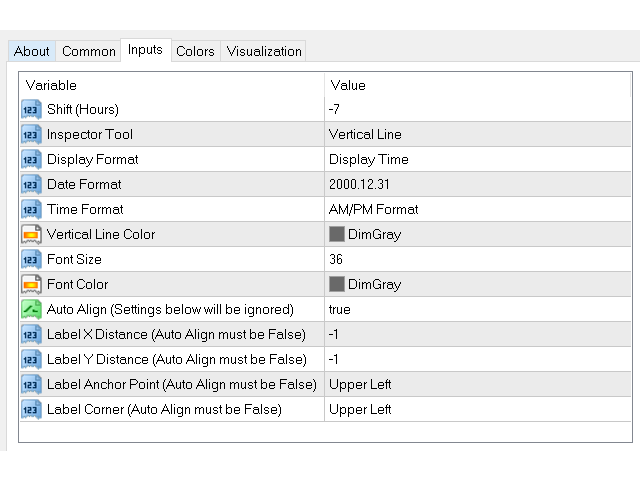 Check out the "What's New" tab to see the new features for version 2.0! Shift: the amount of hours you need to shift from your Broker's timezone to your timezone. 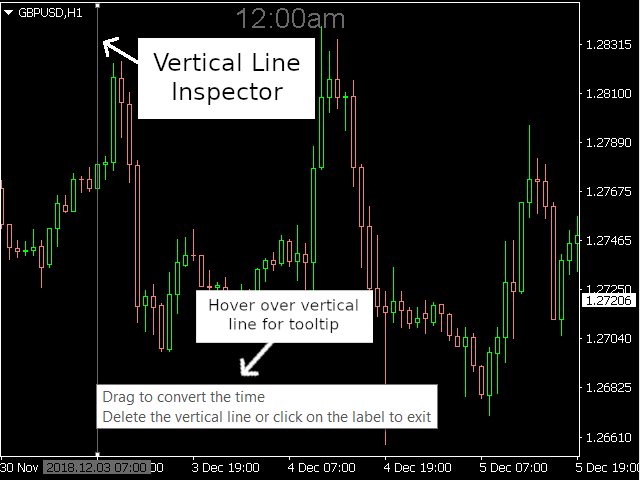 Example: your timezone is GMT-5 and your Broker's timezone is GMT+2, so you would enter -7. Note: value must be between -12 and 14. 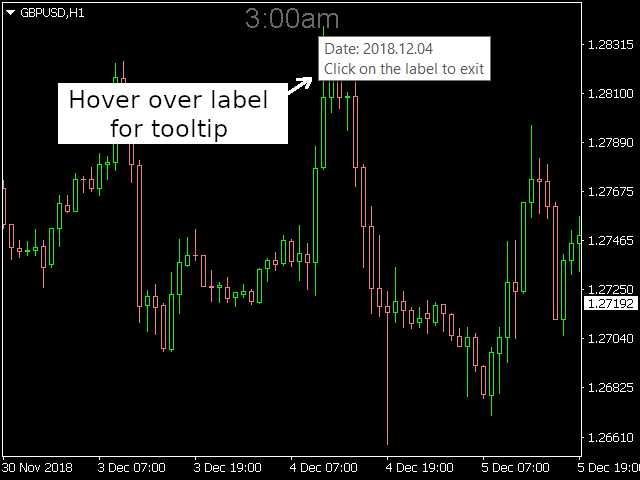 If you enjoyed this indicator, please consider rating it and check out my other programs. Thanks for reading!